Last night, a group of celebrity ladies in London showed how a fun night out in great company can make a massive difference. 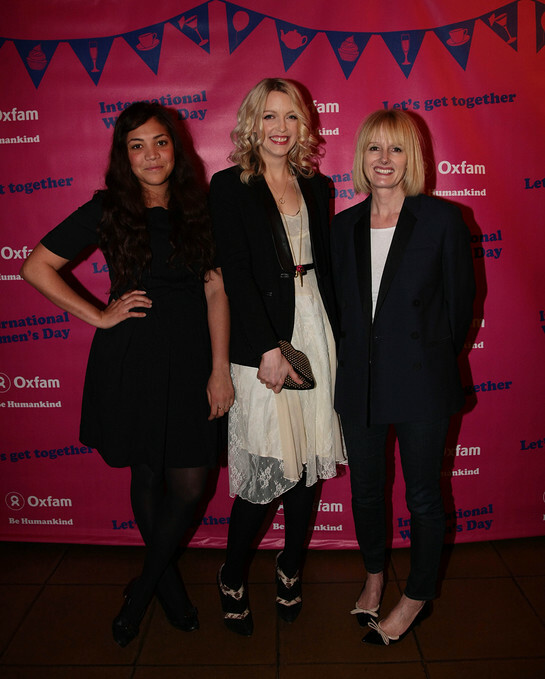 Lauren Laverne, Miquita Oliver, Caroline Flack, Caitlin Moran, Dawn Porter, Gemma Cairney, Grace Dent, Cherry Healey, Brix Smith-Start, Jo Good and Whistles’ Jane Sheperdson gathered to launch Get-together; Oxfam's new fundraising campaign to support women around the world. There are 1.3 billion people living in poverty worldwide – more than two-thirds of them are women and girls. Lauren and pals led by example aiming to inspire UK ladies to get together and hold their own fundraising events for International Women’s Day on 08 March. Oxfam is inviting women to arrange anything from a dinner party or cocktails to an afternoon of knitting or doing a favourite work-out routine, all to raise money to support women living in poverty around the globe. And Oxfam hopes women around the country will jump at the chance to get involved as a survey carried out by the charity reveals that many UK women don’t get together with friends as much as they would like. For more information on the campaign visit www.oxfam.org.uk/womensday.